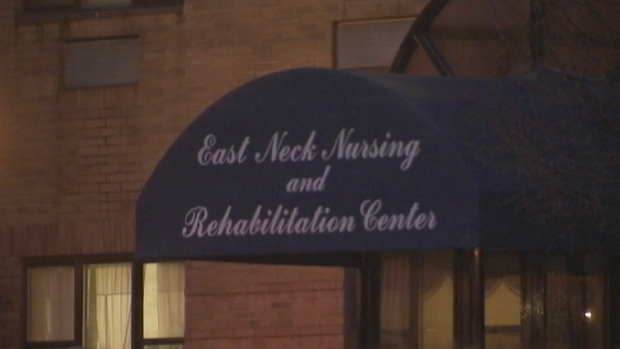 An 85-year-old woman with dementia had a male stripper gyrate in front of her against her will at a Long Island nursing home, according to a lawsuit filed by her family. But a lawyer for the East Neck Nursing and Rehabilitation Center in West Babylon said Tuesday that the performance had been requested by nursing home residents and voted on by the home's activities committee. Franklin Youngblood said he was visiting his mother, Bernice Youngblood, in January of 2013 and found a photograph of a muscled man, clad in underwear, standing over his mother among her possessions. He said he immediately went to a nursing supervisor for an explanation. The lawsuit claims the nurse attempted to grab the photo from him. John Ray, the attorney for Bernice Youngblood, who herself had worked as a health aide for the elderly when she was younger, said his client had her dignity taken away when "nursing home employees subjected her to this disgraceful sexual perversion." “This woman has spent her whole life living in dignity and now has been disgraced and offended by all of this,” Ray said. Bernice Youngblood, who attended the press conference in a wheelchair with some of her relatives at her side, mumbled in a barely audible voice that she felt "terrible" and "ashamed" about what happened, but had no specific recollection of the details of the incident. Howard Fensterman, an attorney representing the facility, said a 16-member committee of residents had requested the September 2012 performance and the nursing home paid the $250 fee. Fensterman said the facility's management reserves the right to reject a request by the residents' committee, particularly if the activity were deemed detrimental. "But in this instance these are adults who wanted to have this activity, they requested it, they voted on it and the nursing home approved of it," he said. The claims and counter-claims came during a sequence of heated news conferences outside the facility in West Babylon. Reporters and cameramen jostled in a large scrum around Fensterman and Ray when they briefly became embroiled in an argument after Ray presented his counterpart with a copy of the lawsuit complaint. Fensterman said the girlfriend of one of Youngblood's sons had taken her to the stripper show, and not nursing home employees. Ray said Youngblood's son disputed that claim and, in any case, that does not mean Bernice Youngblood was not harmed by what she saw. Fensterman also chided Ray for claiming that Bernice Youngblood was suffering from dementia, while at the same time noting the woman signed a power of attorney document claiming she was competent to sign it. "Ms. Youngblood suffers from partial dementia," Ray said. "She has moments of partial lucidity." Greg Cergol and Gus Rosendale contributed to this report.